The Collision Center is the only aluminum-capable auto body shop in the city of Lock Haven, PA and surrounding area. We have a fully dedicated aluminum room. Found within the room are all of the tools needed to quickly and effectively repair any vehicle with aluminum body panels. Our aluminum room can repair any damage, including scratches, dents, gashes and structural damage. No matter what type of damage your vehicle has suffered, we have you covered at The Collision Center. This means that when aluminum is dented or bent, it cannot be reshaped back to its undamaged state as easily as steel. A body repair technician needs better skills to reshape an aluminum panel without damaging it beyond repair, as well as aluminum-specific tools like an aluminum dent pulling station. Nearly every piece of equipment used on an aluminum vehicle needs to be specially designed for use with aluminum. 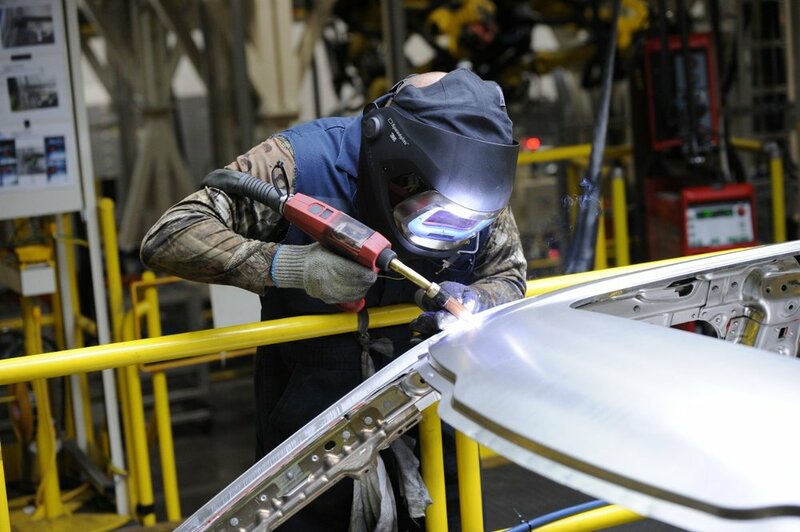 In addition, we employ two Aluminum Techicians who have earned their certifications through I-Car. Their education is an ongoing event to keep pace with the ever-changing technologies in new vehicles. Properly welding aluminum sheet metal requires a MIG inverter welder witha a 220 to 240 volt power supply and synergic-pulsed technology. 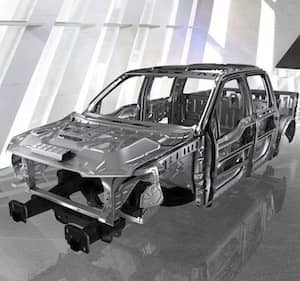 Our technicians are required to be certified in Aluminum-specific classes, including welding, safety, Aluminum exterior panel repair and replacement, and Ford F-150 structural training, and more through I-CAR.